An exhibit commemorating Canadian soldiers who served in the First World War was unveiled in Toronto's north end Saturday ahead of Remembrance Day that will mark the centenary of the 1918 armistice. An exhibit commemorating Canadian soldiers who served and were killed in the First World War was unveiled in Toronto's north end Saturday, ahead of a Remembrance Day that will mark the centenary of the 1918 armistice. 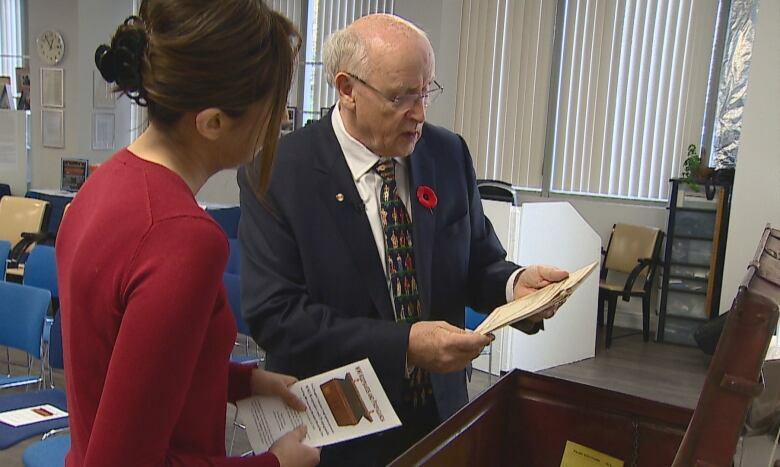 The exhibit "WWI Keepsakes and Propaganda" features hundreds of artifacts and images from distant battlefields that capture the suffering of the bloody, four-year conflict that devastated Western Europe and killed close to 61,000 Canadians. "These are touching, wonderful, important," John Kennedy, a former psychology professor at the University of Toronto, said of the photographs, letters and newspaper clippings on display at the Don Heights Unitarian Congregation in North York. "They show you the scale, the scope, the destruction of this war." A few years ago, Kennedy says he found a metal trunk filled with wartime materials in the attic of a home he had just moved into. He later learned its contents belonged to a previous owner, Jeanne Compondou, who collected German propaganda writings and photos from the First World War. The artifacts went on display Saturday. Kennedy hopes they will offer important lessons to Torontonians about how to avoid future conflicts and maintain peace. "How can we patch up any divisions that are occurring?" he asked, stating: "That's what we have to learn from what happened in 1914." Sheila White's grandfather, Honorary Capt. William (Andrew) White, was the first black commissioned officer and chaplain in the Canadian Expeditionary Force when he enlisted in the No. 2 Construction Battalion in 1917, according to the Maritime Museum of the Atlantic. The segregated battalion was comprised entirely of black men who volunteered to engage in war work. The unit's 500 soldiers were unarmed and never saw combat. "He began an effort to lobby to have black men serve when the army was segregated and they didn't want blacks involved," said Sheila, who never met her grandfather. He died of cancer before she was born. 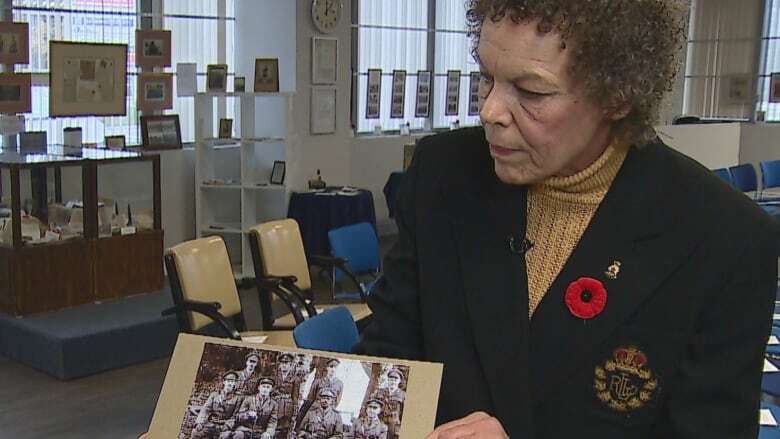 But she says White's legacy of fighting for the rights of black men to serve in the war lives on through the records he kept, including sermons. "He was an inspiration, not only to the black community in Canada, but all of Canada," Sheila said. White's wartime mementos are among those displayed at the small, free exhibit put on by the Don Heights Unitarian Congregation. "He was a chaplain who had averted a race riot between the white and black soldiers in France in 1917 and he brought a message of race relations back with him," she said. Upon his return from the war, White continued to preach and foster ideas of humanitarianism and brotherhood in Nova Scotia, Sheila said. The exhibit will be open every weekend until the end of the month.